Former Government Communication Information System chief executive Mzwanele Manyi continued to give his submissions before the state capture commission under protest on Tuesday. Manyi had indicated to the commission’s chairperson Deputy Chief Justice Raymond Zondo that he was unhappy with evidence leader Vincent Maleka’s line of questioning. He also accused the commission’s legal team for cross examining him as though he was a hostile witness. 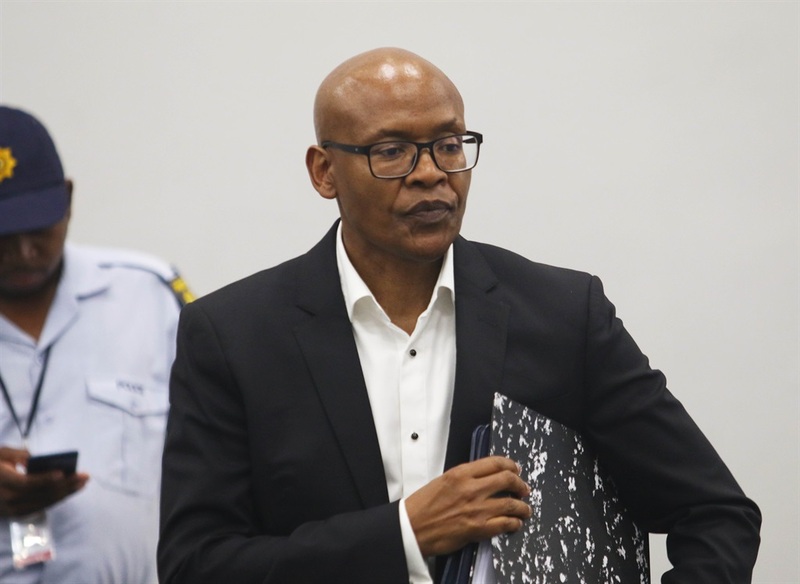 “I would advise Mr Maleka to watch the way in which he led other witnesses’ submission before this commission; his posture when he led my evidence was hostile,” said Manyi. He also reminded the chair that he had presented himself before the commission out of his own accord hence the reason he was taken aback by the hostile cross-examination. Manyi was incensed by the manner in which Maleka refused to apologise for the manner in which he had led his testimony, instead saying he had acted ethically and he made it clear that he had nothing untoward against Manyi. Maleka added that the witness [Manyi] had at an earlier stage sought his legal services. However, due to his commitments he had failed to represent him. This led to Manyi requesting that Maleka recuse himself as evidence leader “since he had already demonstrated bias” in the manner in which he was treating him. Zondo requested that Manyi put his request in writing and suggested that proceedings be adjourned for Maleka to engage with evidence leader, Advocate Paul Pretorius, to map a way forward. He indicated that they were two options, either there be a halt in Manyi’s testimony and that Manyi write and hand in a formal request that Maleka recuse himself, meaning his submissions would then have to be heard on a later date – which would be most likely next year. The other option proposed by Zondo was in accordance with the visibly irate Manyi’s suggestion that Maleka recuse himself and his evidence be led by another advocate. Maleka contested this proposal, and said that Manyi was challenging his professionalism and credibility. After the short adjournment Pretorius informed the chair that Manyi had decided to resume giving his testimony under protest. Throughout his testimony Manyi was hostile and his testimony was characterised by numerous explosive moments when he had tantrums and at times blatantly refused to answer questions without first being given a reason why such questions were being asked. In his testimony, Manyi maintained that former GCIS acting chief executive Phumla Williams had misled the commission in her submission and turned the tables on her, saying under her leadership the organisation was like “a mini VBS” engulfed in corruption. He challenged Williams’ testimony, which suggested that he had overhauled GCIS in order to appoint individuals loyal to him who would also enable state capture. Manyi said the overhaul was necessitated by the rampant corruption he had found and he thought he was doing what was best for the organisation. Manyi concluded his testimony by revealing that The New Age – once owned by the Gupta family and acquired by him through vendor financing – would be auctioned tomorrow following the finalisation of the company’s liquidation.